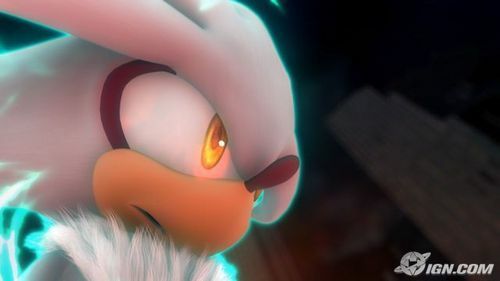 Who's the absolute best, Sonic atau Sh<3dow? Who can be the partner of my peminat character? WARNING! Contains curse words, descriptive violence, and hints of sexual themes. If under 13, DO NOT READ! But enjoy anyways! 1. Say that anda are in the side of evil. 2. Pay Scourge to say that he would tarikh them if he were gay. 3. Say that Silver is a dweeb. 4. Ciuman them all on their mouths and say that they taste good. 5. Jump in the back of a car and when they all jump in, say this is your car. 6. Say that Blaze, Sally, and Rouge are gay. 7. Give them all high-fives if they lose a race. 8. Eat a chili dog in front of their faces and say, "Sorry, none is left for you!" anda have a very spasific version of dreams of an absolution that is your favorate, and absolutly refuse to listen to any of the others, to the point of shuning your Friends should anda see them listening to a diffarent version. Sonic was taking a walk, then suddenly he saw Shadow. Shadow:(Whispers at Silver) Shut it! Chris: Eew! What is that smell?! of you.silver berkata thanks sonic berkata your welcome. but anda can't scatch silver berkata awwww but i itchy sonic now go to sleep silver. silver berkata ok later blaze came to take care of silver and was a sleep. who does Silver already now befor he travels back in time? Sonadow is sick. Am i right?